Gaps are common in the Forex market because trading usually only occurs between set market hours depending on which Forex trading is being conducted. The Forex market is active 24/5 for retail traders, but the Interbank market operates 24/7. This particular time difference is where the gaps might show up. Gaps are empty spaces between the close of one candle and the open of another. Contrary to stock markets, in Forex, gaps are not very common and usually only occur at the market open on Sundays. These gaps occur between a pairs close price on Friday and its open price on Sunday. Over the past few years, people have started trading Sunday evening gaps in Forex. The concept for this type of trade is the same; gap traders think that the price will always fill the gap. Sure? Technically speaking, it always does, but this doesn't really mean that the gap will be filled as soon as it's formed. Every Sunday, the gap is usually filled, but it might take 200 pips on the opposite direction before it happens. So... even though gaps are almost always filled, they are not always viable. And that's where traders lose. Let me show you which gaps are tradable and which are not. The breakaway gap usually starts a new trend. The price normally breaks out of the consolidation phase and proceeds up or down with a strong momentum, leaving the gap behind. It happens after a consolidation period and is usually triggered by breaking events. The breakaway gap forms a new trend and is not tradable. The example above shows how the price breaks all vital camarilla pivots and proceeds upwards without a sign of a possible gap close. Both EUR/GBP and GBP/USD had breakaway gaps after the UK Snap Elections. Runaway gaps usually form within a trend. They mark trend continuation, and trading the continuation of a runaway gap is probably one of the safest methods to trade, especially when combined with other price action tools, such as support/resistance, trend lines, or camarilla pivot points. As a rule, traders want to see the gap close first before they assume the possible continuation of price momentum in the trend direction, which means that these gaps are traded after the fact. Exhaustion gaps are mostly found in stock markets, but they can also exist in Forex, although rarely. Exhaustion gaps are formed towards the end of the previous trend and indicate the final push in momentum before prices start to lose it and reverse. Exhaustion gaps are only tradable after the fact. They need to be identified first, and then, traders start trading a new trend. 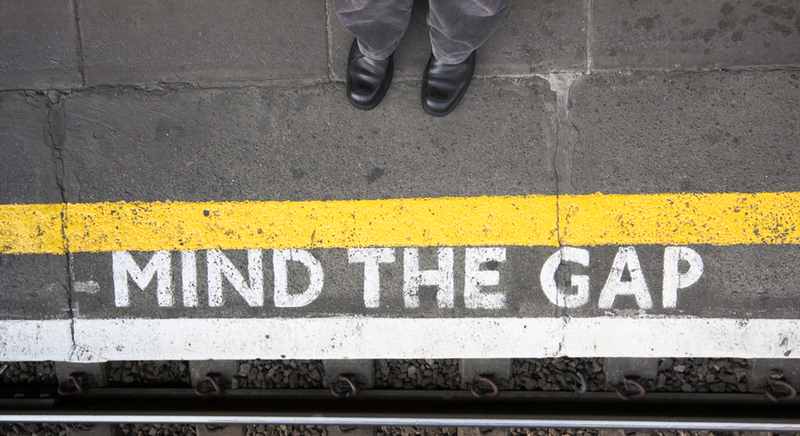 The common gap is the most widely traded gap and, in my opinion, also the safest one to trade. These gaps are defined by common chart patterns and usually appear during late Sunday/early Monday opens. Common gaps are likely to be filled within several price bars and might therefore be appropriate for a short-term intra-day trading. Traders tend to look for these gaps around midnight market opens. The presence of a chart pattern that defines the gap is essential. The target is the gap close or 3 pips above/below it. Usually, Australia's Sydney market liquidity is a bit thin. A better trading volume is usually captured during the Tokyo market open, currently at 23:00 GMT. This is the time when traders would see their positions usually moving towards the gap close if the common gap is spotted. Gap trading is tricky, but if you know which gaps are tradable and which are not, it should be a lot easier. Try to spot different gaps on your platform and observe how the price behaves after the formation of a gap. Last but not least, always keep the risks under control!